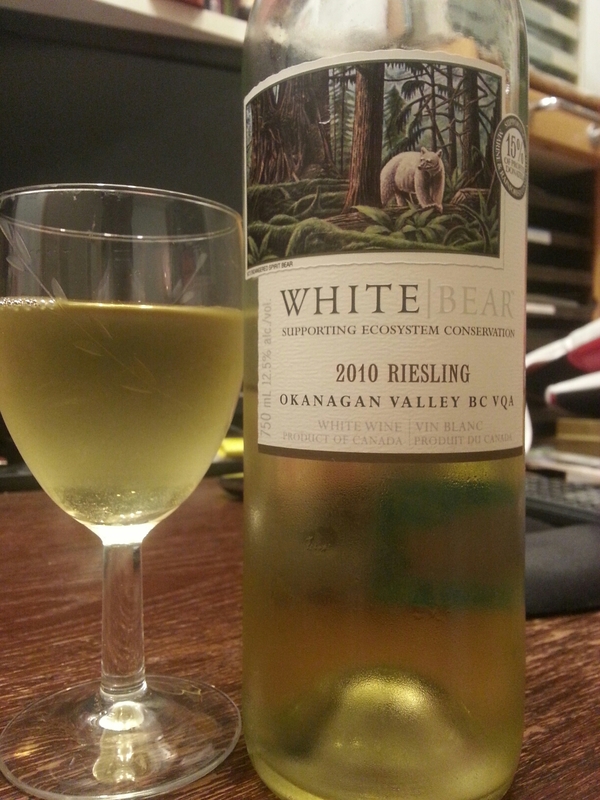 White Bear Riesling 2010 (Oliver, BC, Canada) | Justintoxicated. Visual: Screw-top cap. Pours clear light yellow, lots of micro bubbles clinging to the side of the glass. Finish: sustained sour-acidity, thicken saliva. Summary: Too much acidity and not enough inviting fruitiness. 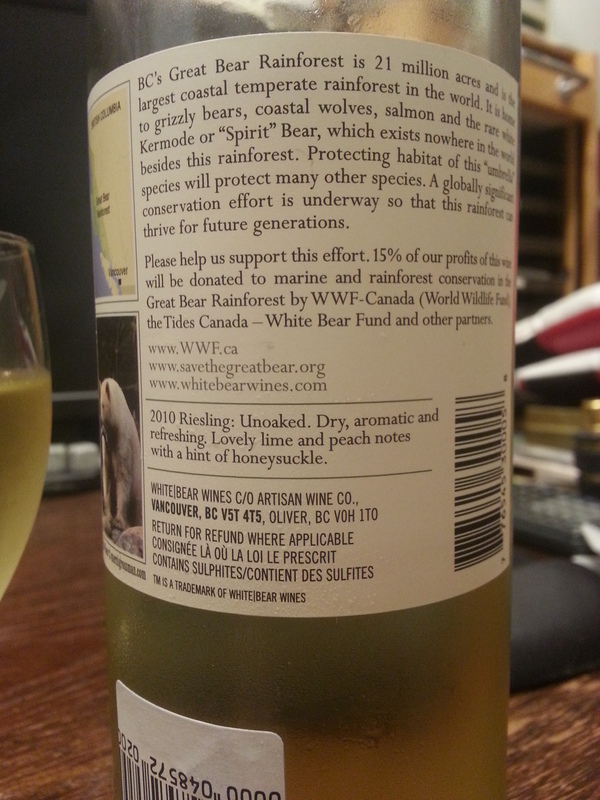 There are many other Rieslings I’d much prefer to have than this.